The kindness of Lord Shiva is not a matter to express. It is the subject to feel. Shiva is the lord of Compassion, simplicity and immense strength but the kindness of Shiva is an integral part of Bholenath lifestyle which signifies that there is no one like Shiva when it comes to the matter of Shiva Kindness. In this post, we are going to give the Shiva kindness Story which will put the kindness of Lord Shiva in front of those people who are interested in knowing about it. Shiva is neither indefinite nor has a definite form but operates in the mystic form in which his devotees believes on him. Time to time various people experienced the kindness of Shiva. Shiva gave his Shakti to Brahma so that world could come into existence. Shiva drank cosmic poison to protect the cosmos which changed Shiva's throat blue in color. Bhootnath Shiva gave love, affection, and care to the communities which are boycotted by human societies. After the death of Goddess Sati due to the arrogance of Daksha. Shiva returned the life of Daksha after his death on the request of Sati's family. Shiva became Gangadhar so that the earth could not get scattered into pieces from the pressure of mother Ganga. Shiva's rigorous style gives him the hardest persona as Mahakaal, but internally Shiva is the kindest lord who protected the life of sage Markandeya from the deity of death Yama. Shiva himself is Pashupati, Pashu means living beings including animal, humans, and Pati means Swami. Bull Nandi is Vehicle of Shiva and Snake Vaski is around Lord Shiva's neck. Once while protecting Mother Sati life from an Asur, sage Dadhichi bone was broke down. Shiva appeared to slay the Asur and made Dadhichi bone structure metallic so that it could become the hardest metal in the world. The one who is known as Vishnu Vallbha is Shiva who never compared people on the grounds of the Karma and served justice to everyone. Shiva is the greatest giver, the art of Meditation, Ayurveda, Astronomy, Science, and Yoga is given to Sapta rishis by Mahadev which spread all over the world. Now every Yogi knows the science of Neuroplasticity which can be achieved by the awakening of Kundalini Shakti. Lord Shiva has marvelous Qualities, despite being supreme Lord, Shiva married Goddess Parvati with all the Vedic rituals for her happiness. There are two Lord Shiva kindness story shared in this post. Once upon a time in a dense forest, There was a white rabbit, who was very mischievous. The leader of their rabbit community told him to stay with the community. In honoring their group leader, rabbits used to call him their lord. One day in search of food, the rabbit decided to leave his community. The rabbit moves to another side of the forest fence and finds the food resource. He gets delighted and decides to inform his community about the new food resource. As soon he decides to return from there.A big white color wolf comes there. Wolf sees a white rabbit and decides to eat it as his meal. The white rabbit gets scared and decides to run in the opposite direction. 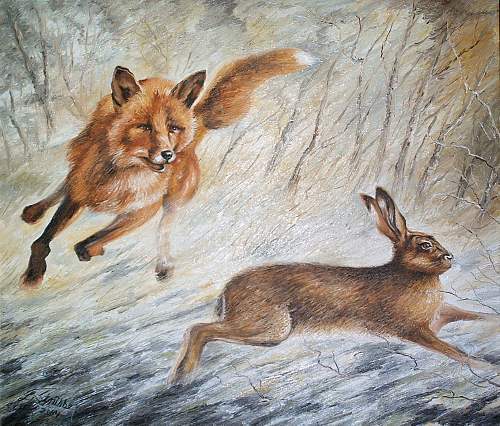 Wolf starts following him; he runs behind the rabbit. While running, Rabbit enters into a Shivalaya and starts running around the Lingam. He was repeating only one thing Oh Lord, please protect me. He completes a turn around the lingam, but wolf catches him from the neck. Immediately Shiva appears there, Mahadev orders the wolf to leave the rabbit alone as the rabbit took a turn around of the lingam. Unknowingly rabbit worshipped Shiva and Shiva appeared immediately to protect his devotee. That is the kindness of Lord Shiva. Shiva is beyond respecting and defaming him. Once upon a time, there was a thief whose work was to rob the people's house at midnight. He never harmed anyone while robbing the house. He was an atheist who never worshipped any form of the divinity. One day he came to know that the people of their village offered a golden Chatra to Shiva temple. He decides to rob it at night. He visits Shivalaya at midnight. There was a water utensil in the Shivalaya which was having water on it. Thief stumbles the utensil, and accidentally it drops on the lingam. The thief touches the lingam to take out the Chatra. Suddenly, the voice of Damroo starts coming into his ears, he gets scared, because nobody was there with him except Shivling. He befalls down on the ground and, starts experiencing heart heaviness. In his fear, he starts to dwindle. One by one all his past sins start rolling out into his eyes. In his heart, he starts chanting Om Namah Shivaya. It was the first time he chanted Lord Shiva mantra. He realizes his past committed sins which breaks down him. He looks at the Shivlingam and folds his hands with experiencing Shiva within him. He decides to become an honest man and leave all kind of bad Karma. Shiva appears in the form of Aghori Shiva and blesses the thief. The thief starts weeping on the feet of Shiva and Shiva wipe out the tears. Shiva talks with him and eventually, thief asks Shiva. Thief - "why you appeared in front of me whereas I never worshipped you as your devotee, and I am a sinner." Shiva - "I never differentiate my devotee basis of their Karma. Therefore everyone is dear to me." Thief - "You have many devotees who worship you day and night." Thief - Why didn't you appear to them? Shiva - "The Time you poured water on me and took support on Shivlingam in that precise moment, you volunteered yourself to me. Whereas, my other devotees still, have to complete their devotion on me. The day they will have complete reverence for me, I will appear in front of them as well." This incident proves the kindness of Lord Shiva. These are the two story of Lord Shiva Kindness; Whereas there are the limitless story of Shiva kindness. Most of you have heard the story of a hunter who waited for tiger whole night over a tree and kept throwing Bilva leaf over the Shivlinga, and Shiva came to boon him. 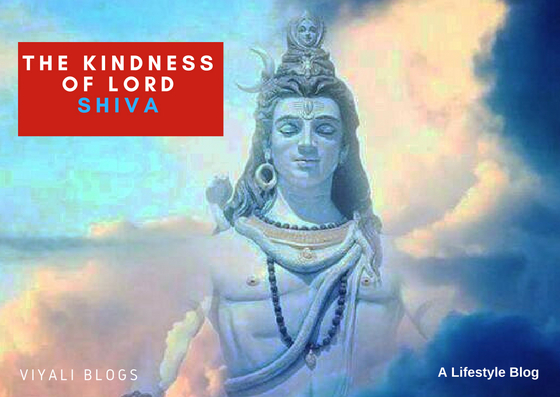 In this post, we have explained the Kindness of Lord Shiva. For more updates, you can like our facebook page or follow us on our twitter handler. You can also subscribe us through your email account.